Over the years, most organizational practices have resulted in an increase in supply chains, making procurement a critical and central part of a companies business strategy. Nowadays, the purchasing trend of United Arab Emirate businesses is growing, with lots of importance being placed on the procurement process. At the same time, laws that affect the working conditions and health and safety of workers, including the supplier and the contracting relationship between companies, is changing. This article will discuss the procurement processes and will highlight issues that could go wrong if parameters for measuring health, safety, and environment (HSE), are not built into the procurement process. Many companies often do not take into account the safety and health of a prospective supplier, or the working conditions under which their respective goods or materials are produced. As such, building an HSE measurement aims at encouraging suppliers to take responsibility for understanding the requirements of their client, as well as ensuring that what they provide is safe for end users. Purchasing or procurement personnel, if the applying best standard; are to continuously evaluate vendors, as well as enforcing the highest compliance and quality standards, while ensuring that the supplier is implementing robust HSE measures in their processes. The procurement process can be broken into three important stages, which are: specify, select, and monitor. By looking at these stages independently, we can glean a better understanding of what could go wrong when HSE is not considered in the procurement processes. Under “specify,” the appropriate health and safety components of any project is crucial as it aides in describing the services to be delivered and desired health and safety outcomes. Highlighting the HSE roles of all stakeholders is a key to the success of this stage, and also answering a few pertinent questions will help to confirm that HSE considerations are adequately reflected within the procurement processes. Such questions include: Are HSE responsibilities clear for the contractors? What are the appropriate HSE targets? What evidence is required to demonstrate effective health and safety management? Secondly, “selections” refers to key controls to be considered when selecting contractors or delivery partners, these include: HSE statistics i.e., historical records, competency of the responsible person with respect to the contract. How effective and suitable is their HSE Management? Do they have record of adherence to local HSE standards such as OSHAD ? Or, international standards in place such as ISO18001/ISO45001. ISO9001, ISO14001 ? Finally, “monitoring” is the periodical review of the performance, as well as the corrective measures taken to ensure health and safety standards are being implemented throughout the entire process and life of the contract. Are measures are in place and the contractual ability to manage/remove a contractor who demonstrates poor performance/compliance or breach of contract/HSE legislation ? When these measures are not in place, a vacuum is created, which encourages anomalies in the procurement process. Not giving consideration to health, safety, and environmental issues could lead to an increase in the incidence of injury and illness, which could be an outcome of: poor ergonomic design, equipment failure, defective products or even hazardous materials entering the supply chain. Other measures or parameters that could negatively impact on the company’s activities include: the suitability of plant and/or equipment, competence and training of Contractor staff, oversight by management and other site specific worksite hazards. Additionally, not considering the potential environmental impacts would be detrimental to the overall goal and objective of the workplace health, safety and environment management system, regardless of the purchasing process or requirements within a company. 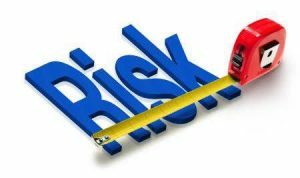 So, for an effective procurement process, purchasing must address the level of associated HSE risk; without excluding any potential environmental impacts on the worksite and environs. In conclusion, prevention of any incident or accident is considered to be of paramount importance in all UAE business’. All responsible procurement processes that take a holistic approach and centre of other factors not just cost, to risk map their suppliers and potential suppliers will surely go a long way towards achieving improvements which aide in the prevention and/or elimination of workplace injuries and fatalities.